Earlier this week, I attended the 10th Annual BIO World Congress on Industrial Biotechnology in Montreal. Overall, I found it to be a great show, with over 1,000 attendees from all segments of the renewable fuels and industrial biotech space. The topics presented at the breakout sessions ranged all over the breadth of the field, and included technical talks as well as business and policy talks. I’ve now written a summary of another of the breakout sessions I attended. This was the second of two panels that discussed the current status of efforts to commercialize cellulosic ethanol. This session, held on Wednesday, June 19, the last day of the conference, featured speakers from Enerkem, Mascoma, DuPont and Abengoa. 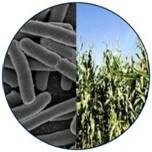 You can once again find my summary on the Advanced Biofuels USA website. Earlier this week, I posted a summary of the first cellulosic ethanol panel from the World Congress, that was held on Monday, June 17. That session featured speakers from Clariant, Praj, DSM and Beta Renewables, and you can find that summary on the Advanced Biofuels USA website as well. My thanks to Joanne Ivancic for giving me the opportunity to contribute these stories to her very useful and informative site. I’d also mention that two previous posts on this blog, from February 21 and February 25, provide additional information on the companies who are commercializing, or are close to commercializing, cellulosic ethanol in the U.S. and elsewhere in the world. As you’ll see in these two stories, there were a number of common trends in business models and technical approaches that were evident from the different company presentations at these two panels. But overall, it was good to see evidence that this will finally be the year in which cellulosic ethanol is commercially produced in significant volumes. D. Glass Associates, Inc. is a consulting company specializing in government and regulatory affairs support for renewable fuels and industrial biotechnology. David Glass, Ph.D. is a veteran of over thirty years in the biotechnology industry, with expertise in industrial biotechnology regulatory affairs, U.S. and international renewable fuels regulation, patents, technology licensing, and market and technology assessments. More information on D. Glass Associates’ regulatory affairs consulting capabilities is available at www.dglassassociates.com. This week, I’ve been attending the 10th Annual BIO World Congress on Industrial Biotechnology in Montreal. So far, it’s been a great show, reportedly with over 1,000 attendees from all segments of the renewable fuels and industrial biotech space. I’ve written a summary of one of the breakout sessions I attended, the first of two sessions presenting the current status of efforts to commercialize cellulosic ethanol. The session featured speakers from Clariant, Praj, DSM and Beta Renewables. You can find my summary on the Advanced Biofuels USA website: for the next few days it will be the lead story you’ll see on the site’s main page, but later you can find the story at http://advancedbiofuelsusa.info/bio-world-congress-cellulosic-ethanol-panel-the-latest-on-commercialization-progress. My thanks to Joanne Ivancic for giving me the opportunity to contribute this story to her very useful and informative site. I’d also mention that two previous posts on this blog, from February 21 and February 25, provide additional information on the companies who are commercializing, or are close to commercializing, cellulosic ethanol in the U.S. and elsewhere in the world. The World Congress is ending today, but I hope to post a summary of a second session on cellulosic fuels, perhaps as well as other topics, either here or on the Advanced Biofuels USA website. A new study was published last week by two researchers at the University of Illinois Energy Biosciences Institute, James S.N. McCubbins and A. Bryan Endres, regarding the length of time the Environmental Protection Agency is taking to review petitions submitted from industry for approval of new fuel pathways under the Renewable Fuel Standard (RFS). The researchers obtained the submission dates of the 42 petitions that have officially been submitted to EPA since the RFS2 regulations went into effect in 2010, and analyzed the time required for EPA review of the 10 petitions approved to date and the wait times for those that are still pending. The researchers found that overall, EPA’s average review time for new RFS pathway petitions was over 1.37 years (500 days). The 10 successful petitions had an average wait time of 290 days, while the 32 pending petitions have been under review for an average of 570 days, with one still awaiting action after almost three and a half years. This analysis of the data confirms what many in the industry have been saying for some time — that EPA has a large backlog of pathway petitions, which may potentially be hindering the growth of the renewable fuels industry. These petitions are of critical importance to biofuel companies: as I’ve described in a previous blog post, for novel fuels or new fuel production processes that are not covered by an existing pathway within the RFS rule, submission and approval of a new pathway petition are required in order for that fuel or process to be accepted as a renewable fuel under the RFS, and in order for the fuel producer to gain the additional economic value afforded by the generation of Renewable Identification Numbers (RINs). Inordinate delays in reviewing petitions could have detrimental effects on those companies already in commercial production of novel fuels but who are unable to generate RINs for the fuel they sell. The authors of the study speculate that a reason for the long delays is that EPA may not be clearly informing applicants of the data it needs to conduct its assessment of these petitions. Although I agree in part with this suggestion, in my experience the EPA staff assigned to pathway reviews have been extremely helpful and willing to discuss petition requirements with applicants in presubmission meetings and phone conversations, and that this type of feedback continues even after petitions are filed. That being said, the actual requirements for pathway petitions listed in the regulations and explained on the EPA website are fairly general and may be difficult to extrapolate to each company’s situation, and this may necessitate frequent communication between EPA staff and applicants. And this indeed may be the reason why the review of some of the petitions may be on hold, as applicants develop or provide additional data that EPA staff may have requested after initial review. Along the same lines, some of the delays may be attributable to the fact that many of these petitions have likely been filed at a very early stage of the applicant’s commercial development. Not only is it wise regulatory strategy to file such applications well in advance of when they are needed, but I’ve seen in my experience that EPA staff has encouraged companies to file petitions as early as possible. However, because ultimate approval of the pathway may in some cases depend on the availability of certain data from commercial-scale or advanced pilot-scale operation of the process, some applicants may simply not yet be at a stage where this can be provided to EPA, thus effectively putting their petitions on hold. To speak to the variability in review times, some petitions are being reviewed quickly by EPA because the claimed process resembles pathways that EPA has already reviewed and approved (e.g. biodiesel pathways involving new feedstocks or slightly modified processing methods). Others may receive quicker review because they correspond to pathways that EPA staff has already been reviewing internally for possible inclusion in future rule-making (the regulations allow EPA to propose new pathways at its own initiative, based on their internal analysis). In other words, some pathways may be “ripe” for approval based on data and information EPA already possesses, and these are approved quickly, while others that may involve truly novel features require further study by staff. No doubt there are different reasons why any individual petition may entail a longer or shorter review time. It is worth noting that, although EPA publicizes its receipt of new petitions on its website, much if not all of the review process and communication with the applicant are treated as confidential business information, and so it is not possible to learn much more from the outside than the Illinois authors have done. In any event, I hope this published study contributes in a positive way to the public discussion about the RFS and how it can best be implemented to benefit the industry and to promote and facilitate the availability of new renewable fuels. And it should reiterate guidance that I and others have given to potential applicants, which is to approach agency staff at an early stage to be sure data requirements are well understood.